For over 80 years, YHA has been helping visitors to see more of the country with its friendly, affordable accommodation. As a charity, its business is keeping costs as low as possible so that more people can experience everything England and Wales have to offer. A cornerstone of the YHA name is its membership scheme. Customers pay an annual subscription and get savings on stays and money off big name brands, as well as the good feeling of helping YHA deliver its services to young people from under-represented backgrounds. You can also search your stay by activity, so if you’re a committed climber or a serious cyclist, for instance, you can find a hostel within striking distance of the country’s best cycle paths and climbs. YHA also has activity centres, for hostels that give you even more, so if you’re looking for fun ways to have an active holiday you’ll want to check these out. With hostels by the sea, in the heart of the city or in the middle of nowhere, save with a YHA discount code and you’re sure to find a stay to inspire and engage you no end. 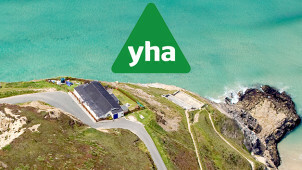 YHA’s special offers page is a must-visit for great deals! Are there age restrictions at YHA hostels? Mostly not, though we recommend checking the hostel page on the YHA website to be sure. You must be over 18 to stay in a YHA hostel by yourself. 16 and 17 year olds can stay at YHA as long as they are with another person of the same age or older. What’s the longest I can stay at a YHA hostel for? Guests can stay at a particular hostel for 14 nights. Following this, guests cannot return to this same hostel for 7 nights. Can I amend a booking at YHA hostels? You can change a booking with at least 24 hours notice from midday of the day of your arrival. Bookings made with a promo code are non-refundable and non-transferable. Bookings can be cancelled with 24 hours notice from midday of the day of your arrival. Bookings made using a promo code cannot be cancelled or ammendable. If you fancy an adventure but you’re worried about the cost, take a look at YHA. It’s got hundreds of hostels up and down the country at great prices, meaning you can get out and about without it costing the earth. A YHA discount code could make your stay even cheaper, so head over to the website to discover unique travel experiences, from castles to campsites and everything in between! There's every type of accommodation imaginable at YHA, so you can book a stay in whatever style suits you. Its hostels are friendly and comfortable, but you can also bag yourself a stay in a camping barn or shepherd hut if that’s what floats your boat when you use a YHA promotional code! YHA even has a number of historic properties including castles, water mills and a Dominican friary if you fancy a night somewhere extra special. We’re big fans of the great outdoors at vouchercloud, and can’t think of anything better than a night spent under canvas. YHA has loads of camping sites where you can pitch up, settle in and explore the gorgeous surroundings. A YHA promo code could seriously cut the cost of your next trip and with top-of-the-line facilities at each of its campsites, there’s no better place to make yourself at home.